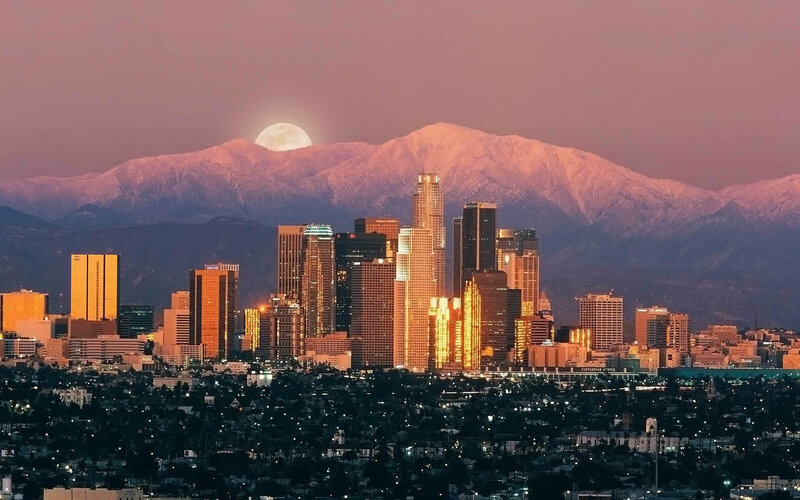 Los Angeles is a great city with many iconic places that deserve to be visited. Everyone will recommend you to visit: Disneyland, TCL Chinese Theater, Hollywood Walk of Fame, Rodeo Drive, Santa Monica Pier, Venice Beach Boardwalk, Pacific Coast Highway, Griffith Park, Sunset Boulevard, Universal Studios Hollywood, Runyon Canyon, Paramount Pictures Studios and that’s fine, you should not miss these places if you travel! 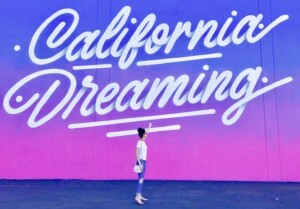 But we will recommend you 6 new places you can not miss, the most colorful and innovative spots that will make you a success among your friends on Instagram. Prepare your camera for this trip! 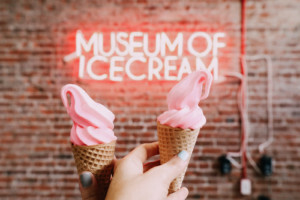 Museum of Ice Cream, started in Manhattan, New York City and is now in Los Angeles. It is an interactive art exhibit with ice cream and candy themed exhibits, all brightly colored, in a maze of rooms containing rock-candy caves and a swimming pool of rainbow sprinkles, among others. The exhibits are very often the backdrop for selfies. The exhibition was created to connect to millennial audiences and It’s all about fun, and feeling like a kid again. Each visitor is offered numerous tastings throughout. Tickets must be purchased in advance for specific time slots online only. 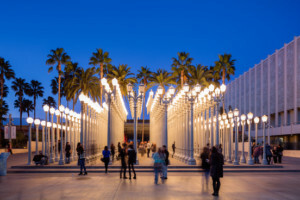 The Los Angeles County Museum of Art (LACMA) is an art museum located on Wilshire Boulevard in the Miracle Mile vicinity of Los Angeles. Next to the museum, there is a light installation, Urban Lights, that you shouldn’t miss. Urban Light installation consists of 202 restored street lamps from the 1920s and 1930s. Most of them once lit the streets of Southern California. It’s a fun spot, great for photos and surely you recognize it from the movie La La Land. 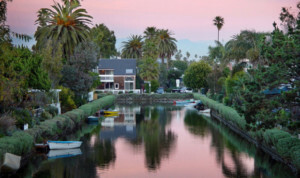 More than 100 years ago, developer Abbot Kinney conceived the mad idea of building a “Venice of America,” a cultural Valhalla dedicated to the fine arts, complete with canals, gondolas and imported Italian gondoliers. The experiment failed, and the gondoliers went home, but the canals remain and are one of the most splendid places to take a walk. 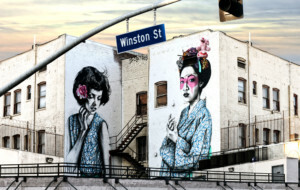 This short block in the Toy District of downtown L.A. is covered with more than a dozen interesting murals created by local artists. Over the years, it’s turned into L.A.’s unofficial outdoor gallery, under the guidance of local resident Stephen Ziegler. Since 2002, Cinespia’s Hollywood Forever Cemetery outdoor movies have offered audiences one of the most magical nightlife entertainment experiences in greater Los Angeles. In addition to showcasing the best of cinema, Cinespia cemetery screenings feature pre-show DJs, themed photo booths, a picnic at a gorgeous Hollywood landmark, and even occasional visits by stars, directors and filmmakers. 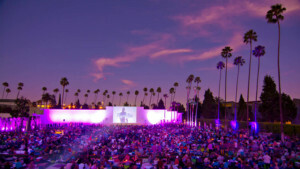 Nothing says L.A. hipster-chic quite like watching a movie en plein air inside a cemetery. Abbot Kinney Blvd. is the best place to visit in Venice Beach. Considered by many the “coolest block in America.” Head there for some shopping, sweets, drinks, good local hang outs and some more popular instagram murals.